Congratulations to Miss Dominique Labovitz who was nominated by our students to kiss a real pig at the TruMark Financial Literacy culminating event in October. Thank you to the St. Jerome families who came to cheer her on! Thank you to all who joined us for Despicable Me 3 on the parish green. Special thanks to State Representative Ed Neilson for supporting our event! Thank you to all who came to cheer on Mrs. Debby Cerruti as she kissed a real pig to ensure that our school receives a financial literacy grant from TruMark Financial Credit Union! 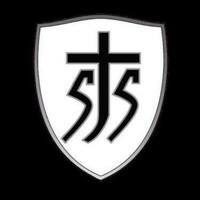 School Facebook Page - "Saint Jerome School" Like Us and Share Us!